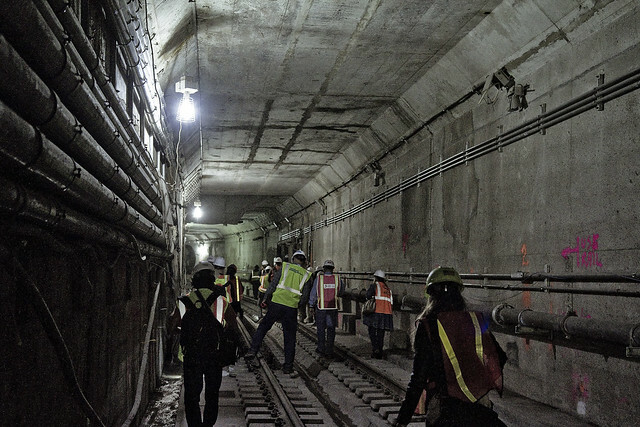 Persistent, that’s me as well, and I’ve been bugging/begging the MTA to allow me to wave the camera around at the Second Avenue Subway project for quite a little while now. 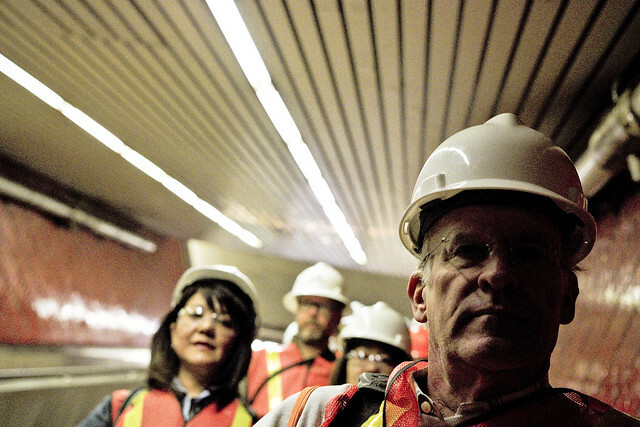 Graciously, they invited me along for a press excursion that occurred on May 21 of this year. 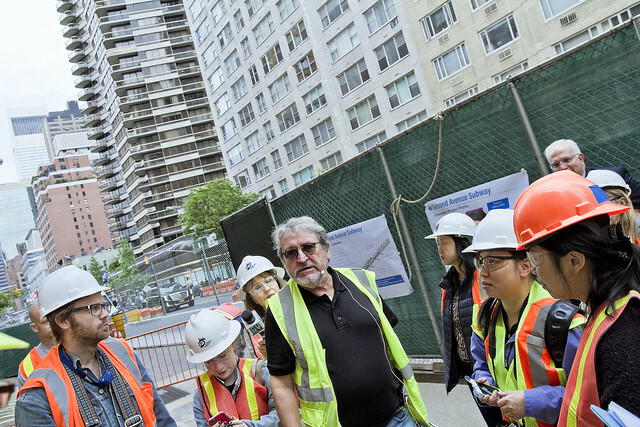 The fellow pictured above is Michael Horodniceanu, and he’s the President of Capital Construction for the MTA – the boss. There were a sizable number of sharp elbowed reporters in the group, including the former First Lady of NYC, Donna Hanover. She seemed nice. One made an early decision, based on a hunch that since the presence of my fellow photographers was going to be an integral part of this experience, that I’d make sure to photograph the photographers while they photographed. 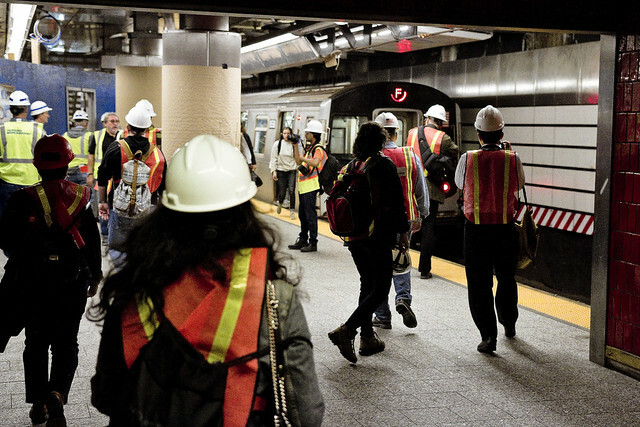 The Second Avenue Subway (officially the IND Second Avenue Line; abbreviated to SAS) is a long-envisioned rapid transit subway line, part of the New York City Subway system. 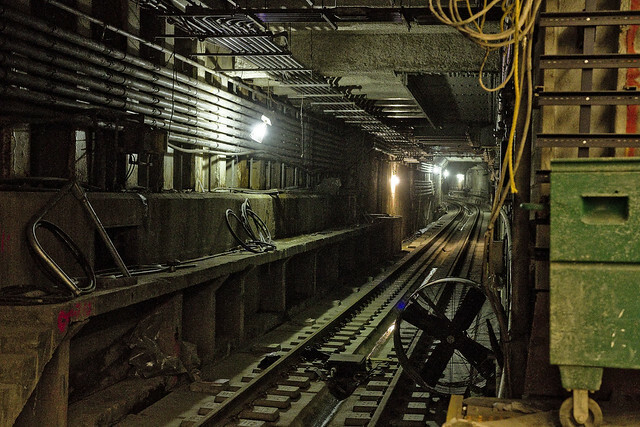 As of 2014, Phase I, a new line between the existing BMT 63rd Street Line and 96th Street and Second Avenue, is under construction beneath Second Avenue in the borough of Manhattan. The whole mob of us followed Michael Horodniceanu deep into the F station at 63rd street, and proceeded down to the lowest of platforms. The MTA folks opened the gates for us, so there was no need to swipe my Metrocard. Score! 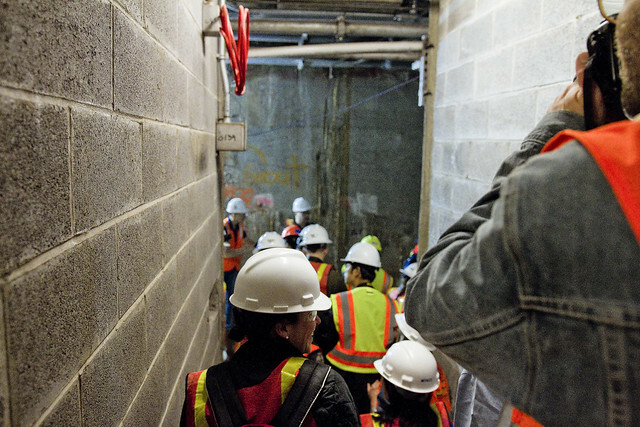 The Second Avenue Subway project entrance was along the F platform, where commuters encounter a plywood partition separating them from the show. 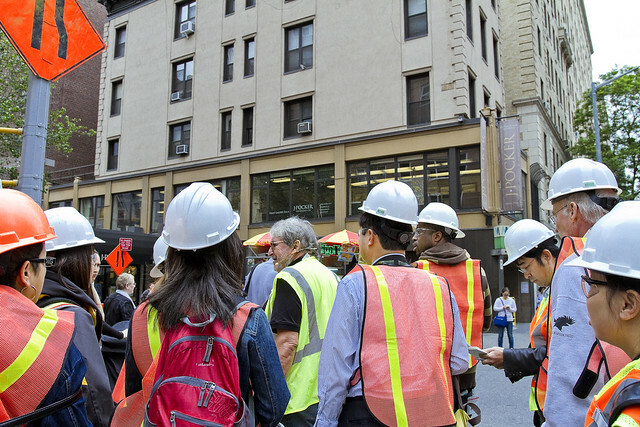 A door was opened, and the gaggle of reporters followed Michael Horodniceanu and his cohort of contractors (and assorted MTA folks) through it. Lexington Avenue – 63rd Street is a two-level station shared by the IND and BMT 63rd Street Lines of the New York City Subway. Located at the intersection of Lexington Avenue and 63rd Street, it is served by the F train at all times. Downtown and Brooklyn-bound trains use the upper level, and Queens-bound trains use the lower level. The original wall tiles installed in this station were red-orange; currently, there are beige-white wall tiles, which replaced the orange wall tiles because of the construction for the Second Avenue Subway. There are a total of ten escalators, six staircases and two elevators. Two additional staircases between the platform levels are at the eastern end of platforms, past the elevator. 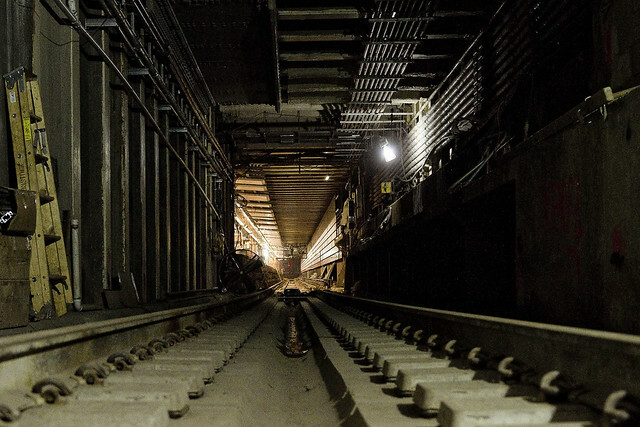 The station’s upper level is 140 feet (43 m) deep, making the station among the system’s deepest. This depth is because it has to go under the IRT Lexington Avenue Line and other existing infrastructure. This is the actual 63rd street station, which is quite far along. There’s track, for instance, and the far wall is sporting some actual finishes. 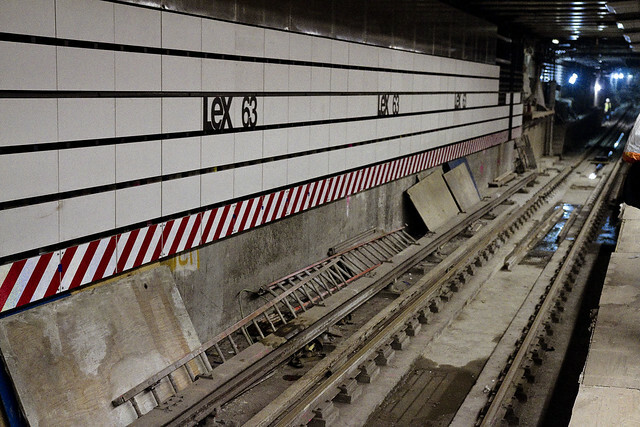 The MTA didn’t use tile, to avoid the maintenance costs experienced whenever water infiltrates behind it. Instead, the wall has a sort of rack on it, and the “tiles” clip on to it leaving a bit of leeway for flowing liquids to find their way to drains. It seemed like electrical and HVAC work was still underway, and there was a staircase under construction on the platform as well. 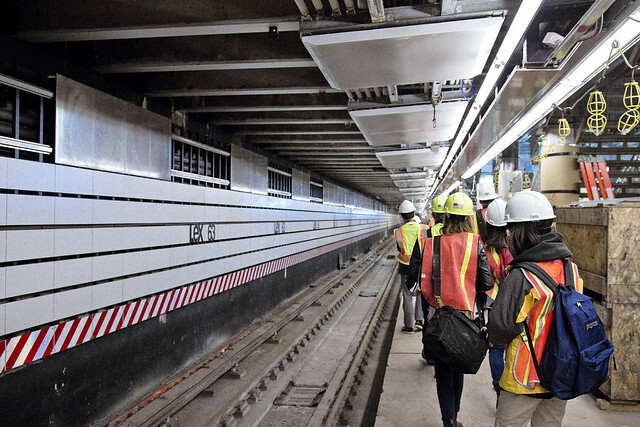 This MTA tour allowed us to walk the actual tunnel, from 63rd to 86th streets. That’s what brought me here, and over the next several days, Lords and Ladies, you’ll see what I saw. Like today’s rather photo heavy post, the next few days will bring you sights and scenes from the darkness below. 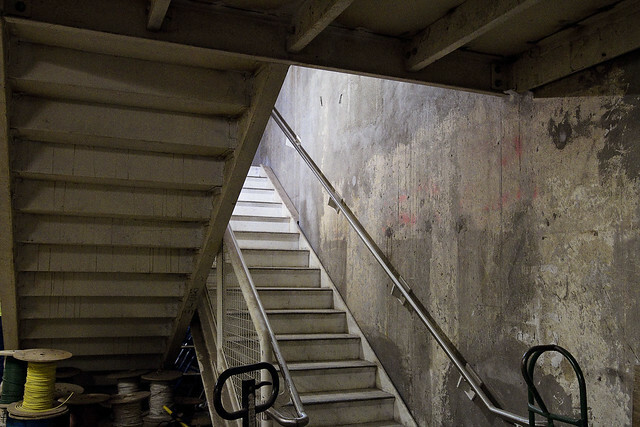 It seems that the “old school” staircase found at the end of the platforms has been done away with in these Second Avenue Subway stations, and we were shuffled into a line that entered a small antechamber at the edge of the public arena. A small flight of stairs, somewhat crowded, and all the latest offerings from Nikon and Canon were brandished about. iPhone and GoPro alike were deployed, and the flashes began to pop. Down on the actual tracks, and looking back towards the 63rd street station, the point of no return on this journey into an oneirontic darkness carven from the belly of Manhattan. 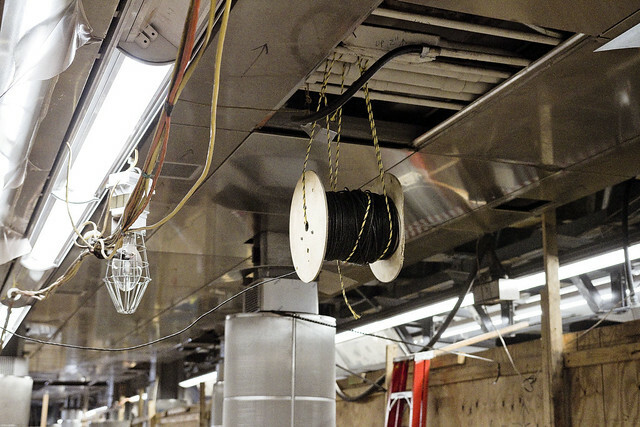 Tomorrow, and for the rest of the week, you’ll be seeing Second Avenue Subway images, at this – your Newtown Pentacle. Remember, I go to these places so that you don’t have to. Great. Can’t wait for more. Any pix of Donna Hanover?